All that you think you know… It’s not real! Descartes. The inspiration behind Don Cherry’s collars. The best way to explain this strange saying is like this: Could everything we know in life (houses, other people, food, air, furniture, rain, etc.) possibly only exist in our minds? If so, at least we can say that our thinking is real. In other words, even if life could simply be one big dream, at least seeing the dream, feeling it, hearing it, thinking and experiencing it is real. If we think, we truly exist. So good ol’ Rene and others like him kicked off the age of “the Enlightenment,” or the modern age. When humans freely explored philosophy and science untethered by superstition and myths, only accepting what could be observed with the senses, we prospered. We had incredible advances in technology that were unparalleled in history. We had an industrial revolution that redefined life on planet earth. Abuses of power in religion lost traction more and more as each decade passed. We learned more and more that the sky is the limit. We can control nature, control our destinies, and really do anything we put our minds to! Wow, look at what we can do! Now we are in the “post-modern” era, and I have to say, I’m thankful. Even though I love the advances that the Enlightenment brought us, humankind’s embracing of what is tangible and practical led to some pretty devastating events. The Titanic sank and thousands were killed because of our overinflated sense of confidence in our abilities and our disregard for nature. Countless lives were cut short, even sacrificed in the inhumane and cruel conditions of factories and large enterprises. Even our nation’s proud moment of creating the Canadian Pacific Railway is marred with intentional killing of Asian immigrants in order to keep the project coming along. All done in the name of the most romantic and esteemed word of modernity: progress! A political party was so sure it could improve life on earth with tough logic and brutal—very brutal—hard work. They could rid the world of all that is evil and imperfect and create a heavenly earth. They were the Nazis. Yes, I’m glad we’re moving on to the next phase. But despite our moving forward the question still remains: could it still all be a dream? I remember in school seeing diagrams of molecules and atoms and thinking to myself, “that looks like planets in space…” Could our entire universe just be a mere atom that creates a much bigger reality? Talk about deep thoughts! Oh Jack Handey, you truly have left us a legacy. I do find all of this fascinating, though there’s one major problem I have with the idea that our perceived reality may not be actually real. I have a tough time seeing emotions like love and hatred as mere triggers in the brain. When I experience the miracle of life, it makes this whole idea absurd. When I see a child who is only days old. When I see myself in my children’s faces. When I witness someone being compassionate to another human being. When my heart feels love so much it aches. There must be more to being real, much more, than thinking. I’m sure Rene and his leotard-wearing pals would have something to say about that, but for me… I love, therefore I am. Congratulations Inception. This is your week. Best Actress: I would pick my favourite actress, Scarlett Johansson, but as I’ve shared before, my wife is insanely jealous. She knows that if Scarlett heard about me she would be smitten beyond measure. I’ve even caught her trying to google her address so that she can “pay that hussy a little visit.” Fortunately I am a huge Ellen Page fan and I think she’s more than deserving. Plus, she’s gay so my wife doesn’t worry so much about her. Best Actor: For years I couldn’t stand watching Matthew McConaughey. However, seeing him in recent films has changed my mind, especially Dallas Buyers Club. I haven’t seen Interstellar yet, but I can’t wait to and I even anticipate Matthew’s performance as being actor-of-the-week worthy. 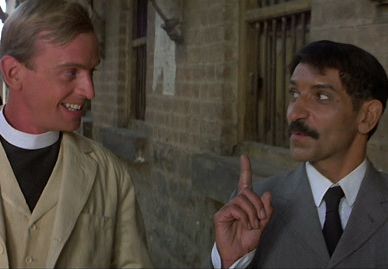 Best Quote: I think this one is fitting for this week’s subject: “Things don’t always go as planned, Mr. Angier. That’s the beauty of science.” – Nicola Tesla in The Prestige. 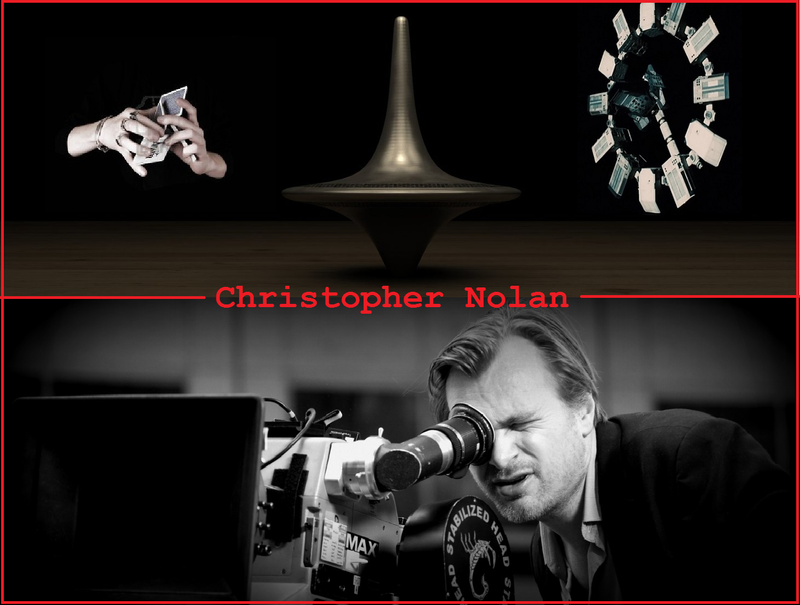 Thank you Mr. Nolan for all of your great movies. My thanks as well to Mr. Descartes, Mr. Handey and the Hollywood Foreign Press. I know I’ve left people out here, but they’re playing the music and I have to get off of the stage. 1. A – All of Grace Kelly’s leading men were old enough to be her father. The one exception was William Holden who was 11 years her senior. She was also romantically involved with all of her leading men, except for one: James Stewart. 2. C – Robin Williams went to Juliard with Christopher Reeve. They remained close until Reeve’s death in 2004. 3. A – Heath Ledger’s Joker is partly based on Alex from A Clockwork Orange. 4. B – Believe it or not, Robert DiNiro’s favourite movie is Billy Madison. 5. C – All Lucille La Verne did to give her evil sounding old hag voice that edge was take out her false teeth. 6. B – Thankfully Arnie decided not to do a sequel to Commando. And thankfully X10 Bruce Willis accepted the John McClane role. 7. B – Though both Kristin Chenoweth and Drew Barrymore auditioned to play the lead of Annie when they were little girls, Cameron Diaz (who plays in the 2014 version) did not. 8. A – Most of you said Guardians of the Galaxy, which is what I would have said as well. But on a world-wide scale, the movie that raked in the most cash was Transformers: Age of Extinction. 10. A – The Green Mile. And though most of us rave about The Shining, King did not like this adaptation at all. Congratulations James. You will receive your own copy of The Shawshank Redemption and popcorn to go with it shortly. Thank you all for playing. Maybe next time will be your moment of victory at Popcorn Pop Quiz! Just yesterday I told my daughter Erika that I loved history in high school, but that I also did terrible in it. I would memorize and remember the things that I thought were important, but anything I didn’t understand or relate to would slip out of my brain faster than air out of a New England football. (Holy mackerel! I’m so relevant I scare myself!) But one thing I will never forget: learning about the Hindu caste system in grade 9. The way it worked was that every person living in that country had a destined grouping assigned to them. If you were lucky you were born into one of the rich designations. People would be compelled to treat you like royalty, or even deity. There were many mid-way designations, and the bottom of the barrell were the Dalits or the “untouchables.” This was no Sean Connery movie, either. They were people that you not only wouldn’t touch, but would also pretend they didn’t even exist. They were the poorest of the poor and regarded as lower than vermin. Never forgot that class day. And perhaps what he is most known for is what inspired courageous men and women like my last Monday’s man of the hour, Martin Luther King Jr.: peaceful civil disobedience. And this wasn’t easy. Sitting in the wrong spot or refusing to participate in a certain activity could result in brutal violence. Sitting still while knowing what may come couldn’t have been a walk in the park, but they had a vision for a better future. With quietness and confidence these individuals changed the hearts of many. We may have a way to go, but we’ve come so far. Thank you Gandhi, MLK, Malala Yousafzai, William Wilberforce, Rosa Parks, Nelson Mandela, Susan B. Anthony, Dietrich Bonhoeffer, and so many others for your sacrifices, hard work, and determination to make my life better. Congratulations Gandhi. This is your week. Best Actress: Julia Roberts in Erin Brockovich. Memorable performance to say the least. And the real EB is in the movie playing a waitress who serves Julia-as-Erin. Best Actor: Daniel Day-Lewis in Lincoln. Greatest actor ever people! Loved the movie too. I must say I feel hypocritical writing this. But, looking on the bright side, maybe it’s just inspiration that just feels an awful lot like hypocrisy. Think you know your movie trivia? You can win free popcorn AND a copy of the IMDb’s top movie, The Shawshank Redemption*—sent to you in the mail—by simply answering the following questions. One week from today I will toss everyone’s name into a hat who have taken the quiz AND for every right answer you give your name will be given that many extra ballots! The deadline is next Tuesday, Jan 27 at midnight. 2. Robin Williams attended Juliard with this actor. They remained close friends as they both attained fame in movies. 4. What is Robert DeNiro’s favourite movie? 5. Lucille La Verne voiced both the evil queen and the old hag she turned into in Snow White and the Seven Dwarfs. What unorthodox method did she use to perfect her old hag’s voice? 7. Which of the following actresses did not audition for the part of Annie in the 1982 movie of the same name? 8 Which was the highest grossing film of 2014? 9. The highest grossing film of all time is Avatar. However, when adjustments are made for inflation, this classic bumps it into second place. 10. 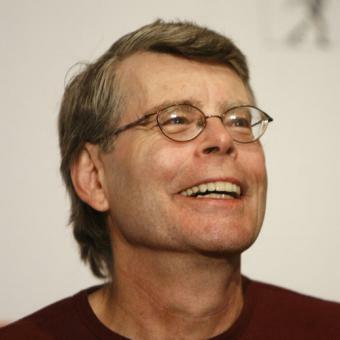 Which movie did Stephen King proclaim as the single most faithful adaptation of his work? *If the winner already has a copy of The Shawshank Redemption… well… we’ll talk. Tomorrow (Monday, Jan 19/15) is Martin Luther King Jr. Day. 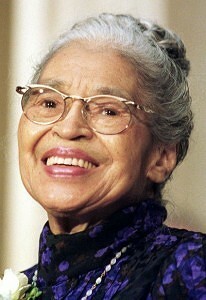 For me he is one of the most (if not the most) inspiring people of the 20th Century. He fought for human rights and changed the world. 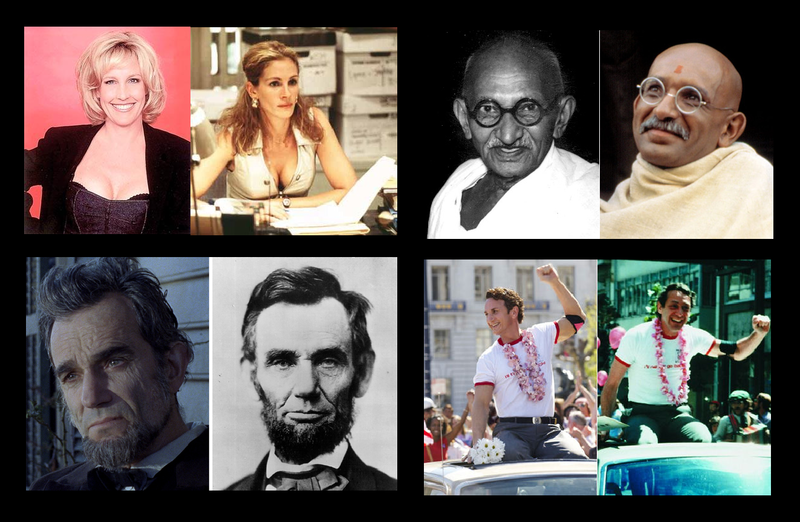 The following are biopics of people who fought for the rights of others. Which would you vote for to be this week’s movie? One thing that stands out about this week’s movie, The Social Network is that they have so many characters pitted against each other. Zuckerberg vs. Eduardo. Eduardo vs. Sean Parker. Zuckerberg vs. Winklevoss Twins. Et cetera. It’s such a cool element of the movie because it’s so much more than just a story of how Facebook came to be. The movie has a social network within itself. Watching this is fascinating. It reminds me of a game my kids like to play with their friends: “Would you rather?” They simply start conversations by asking questions like: Would you rather have the ability to fly or to read minds? Would you rather travel back in time and meet your ancestors or travel into the future and meet your great grandchildren? Would you rather McDonald’s or Burger King? It’s funny how some choices we have a quick and solid answer for, others we can’t decide, and some we’d really rather not talk about. Cinderella or Frozen — I really think both of these are classics in their own right. I enjoyed both but if I had to choose I think I’d take Cinderella, though mostly for sentimental reasons. Platoon or Full Metal Jacket — FMJ does have many iconic and memorable scenes, though I’d choose Platoon between the two. I felt the story was better. Dante’s Peak or Volcano — Both came out in 1997 and both were disaster movies about an active volcano. DP wasn’t that great, but Volcano was the drizzling poops. Dante’s Peak ftw. Deep Impact or Armageddon — Oddly enough, these both came out in 1998 and were both disaster movies about an asteroid hitting the earth with the possibility of wiping out all of its inhabitants. I didn’t hate Armageddon, but I really liked Deep Impact a lot. IMO, a much better movie. I Know What You Did Last Summer or The Blair Witch Project — No question here. I love movies that scare you with the unknown. Killers that might be around the corner are just meh. But movies like The Blair Witch Project scare the crap out of you with creativity and simplicity. It’s a Wonderful Life or Miracle on 34th Street — Wonderful Life for sure. Joy and I watch it every Christmas Eve. The Dark Knight or The Avengers — Both huge blockbusters, but The Dark Knight wins by a landslide for me. 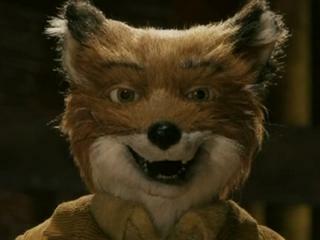 Fantastic Mr. Fox or The Fox and the Hound — I have special sentimental attachments with The Fox and the Hound, but I’m going with Fantastic Mr. Fox here. It was so original, so funny, so memorable—one of my all-time favourite animated films. Pitch Perfect or Singin’ in the Rain — Singin’ in the Rain. I don’t think I can think of another musical that could possibly hold a candle to it. Though Les Miserables would be closest. Gladiator or Braveheart — Tough call, but I’m going with the Scotsman. Rush Hour of Shanghai Noon — Chris Tucker is annoying. Owen Wilson is hilarious. Shanghai Noon baby. And yeah, Jackie Chan does great stunts. Rambo First Blood or Commando — I can’t stand the sequels, but Stallone’s first installment, First Blood, is actually an amazing movie. Far better than Commando, that’s for sure. When Harry Met Sally or Sleepless in Seattle — Love you Tom, but Billy beat you here. WHMS is probably my favourite romance movie, unless you include Jerry Maguire in the romance movie category. E.T. the Extra-Terrestrial or 2001: A Space Odyssey — I’m glad I saw 2001, though it was trippy and confusing. E.T. has sentimental value, plus it’s an incredibly well made movie and well crafted story. JFK or Lincoln — Love them both, but my man Daniel Day-Lewis and Abe Lincoln come out on top. Alien or Predator — As amazing as Alien is and as much as I loved it, I’m going with Predator. The main reason is my experience watching it. I had no idea whatsoever what the movie was about. Everything was a surprise and I’ve always remembered that experience. Congratulations The Social Network. This is your week. Best Actress: Cate Blanchett plays Katherine Hepburn in The Aviator. How can you compete with that? Best Actor: Justin Timberlake. He was so good in The Social Network and he’s one of the few actors who has managed to rise to the top in music, dance and film. Back to the conflicts in relationships that we see in The Social Network… I’ve always been someone who hates conflict. That’s not bragging—it hinders me as much as it helps me. But truly every effort we can make to see the point of view of other people and to seek to get along is a step in the right direction, not just personally either. It’s a step in the right direction for all of humanity.